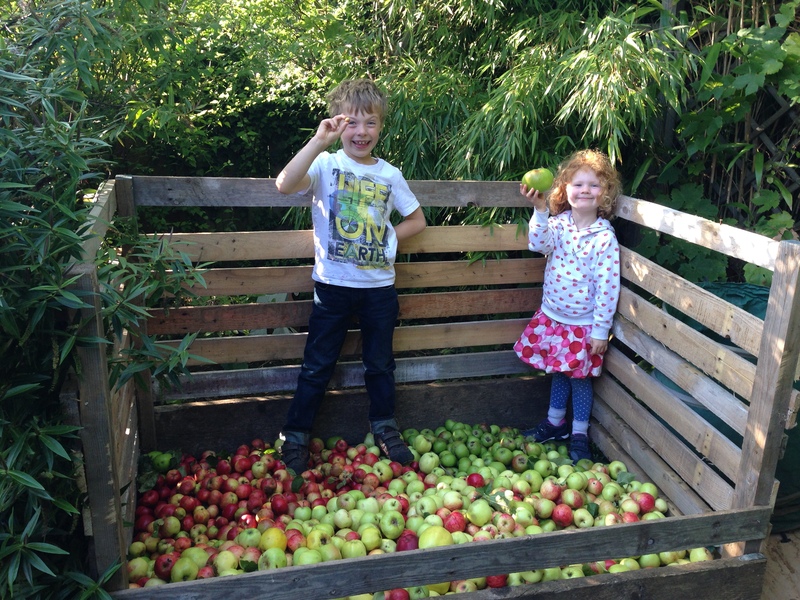 The 2015 tump is open and is starting to fill with apples! Dylan and Bethan are showing off the smallest and largest of the apples collected so far. The largest was mysteriously left on the lawn while we were out scrumping – was this perhaps the work of Philip McBrien? The weather was perfect for apple collecting today. The sun was shining and the apples were abundant, if a little battered from the freak hail we had this summer. Fingers crossed the fair weather hold out for the next week. What more inspiration do you need? Bring us yer apples!